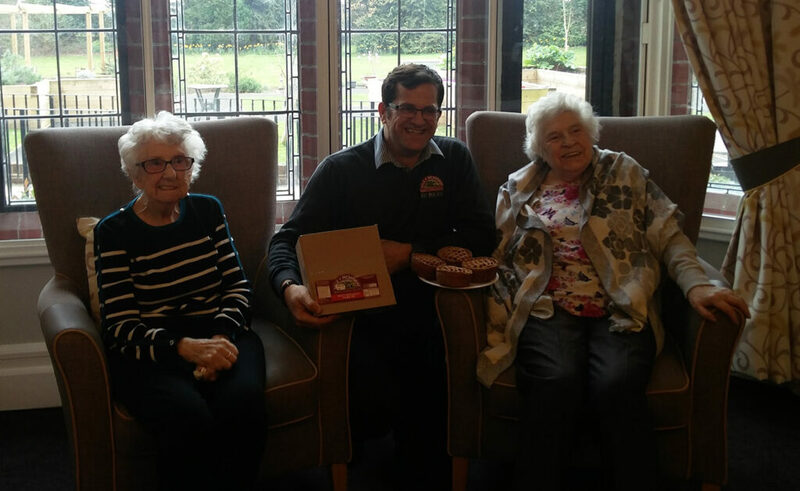 A Welcome ‘Sur-pies’ for Leeming Garth Care Home. As active members of our local community we like to visit those around us who don’t always have the opportunity to get out and meet us at the many events we attend. 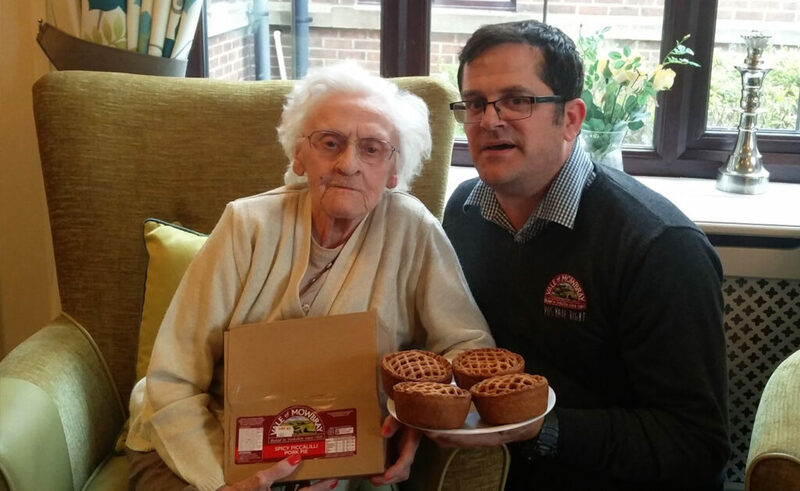 With this in mind we arranged to visit the residents and staff at Leeming Garth care home in Leeming bar with a selection of our tasty pies. 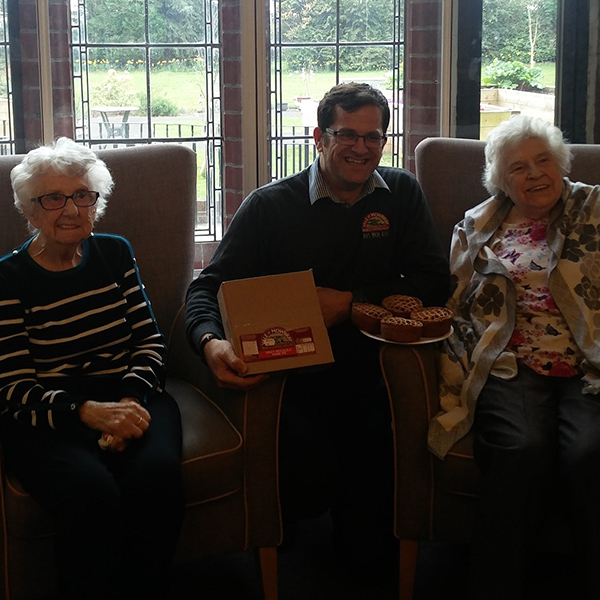 We were welcomed to the home by Lorna Burn the care home manager and Dionne Kingsley the occupancy specialist and were very pleased to meet some of the many residents. 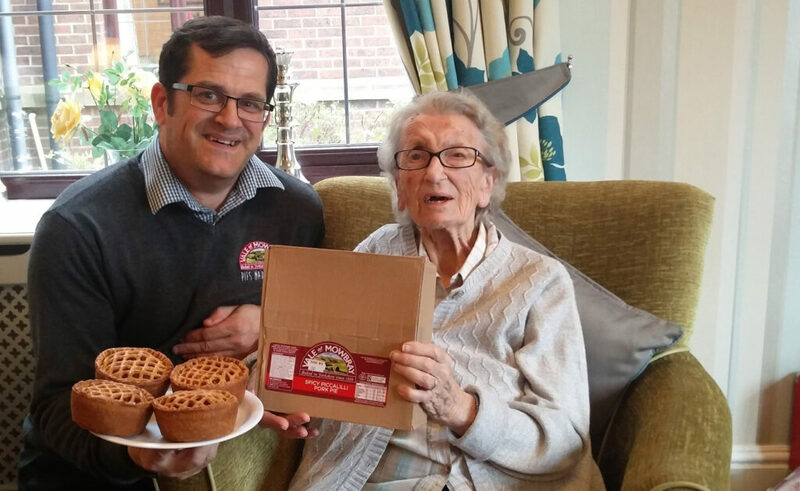 We spoke with Violet Tutin and Aileen Pounder about our pies and they both commented that “These pork pies are famous” and “What a lovely surprise, its so exciting, I do love a pork pie” Thank you to everyone we met on the day, and we look forward to our next visit.